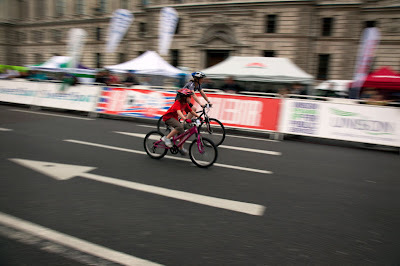 The final leg of the Tour of Britain took place on the streets of central London last Sunday. I must confess I knew nothing about it until I was trying to get to another 'Open House' visit and found the circuit had blocked my route. I got caught up in the excitement of it all. Some of the very young riders have a future of fame ahead of them. One young boy, must have been all of 8 was giving his father a run for his money. Racing ahead each time the circuit passed the compere's tent. Having now looked up information about this event I discover that it is a major event for elite athletes (as well as rising stars) that takes place over eight days. It's worth reading about it on the web site here. Aren't they going in the wrong direction? It feels wrong somehow. 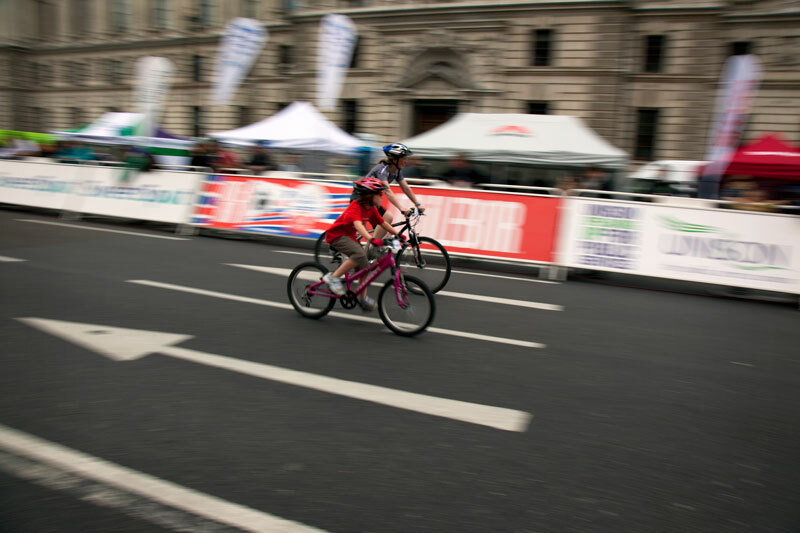 Love the way you've got the cyclists sharp and the background blurred! It wasn't well advertised which is a shame. Good shot giving impression of speed. Nice! They seem to be going fast! Great action shot Mo, young Cadel Evans in the making!! There were a series of bicycle races like that in Quebec two weeks ago! One in Quebec City the first weeked of September and one in Montreal on September 11th. They really are impressive to see! Fabulous shot! I can feel there motion. Super shot. Cycle races can be quite exciting to watch. Hello from the Amish community of Lebanon,Pa. Richard from Amish Stories. Sure need to be fit! Great shot.